A business resume should highlight your professional skills and experience, as this sample of a business resume demonstrates. When engaging in resume writing, knowing what to include may be difficult. 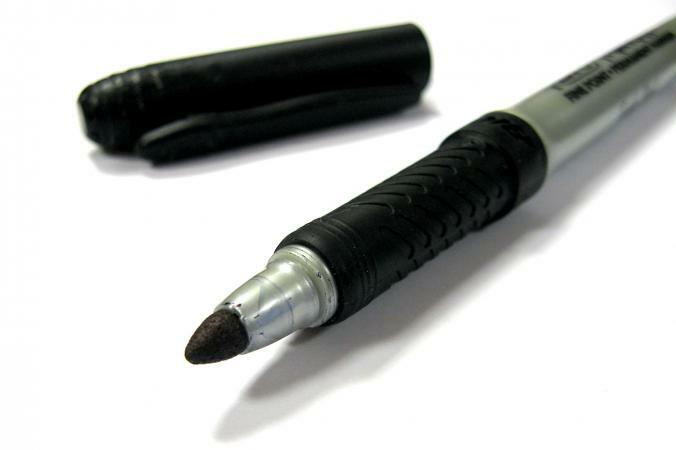 Generally, you should include anything on a business resume that is relevant to the position you are trying to obtain. This can include past jobs, education and honors or awards you may have received. The resume is for a professional office, so you should present yourself as the consummate professional: a responsible, experienced and capable businessperson who can excel at any challenge or career. Depending on your educational background, this can be a very important factor on your business resume. If you earned an MBA or a professional degree in a business field, you should highlight this early in the resume, just as in the sample of a business resume below. For entry-level candidates, education can be especially important, but a college or professional degree may be a prerequisite for any candidate in certain industries. A business resume should include professional experience. You only want to include relevant jobs that you have done in the business world. This means you shouldn't include jobs that you took while working your way through school or unrelated jobs, like babysitting, landscaping or restaurant work. You should only include relevant professional experience. You should also summarize your professional skills for the perspective employer in an easy to understand format, as demonstrated in the sample of a resume below. Choose skills that relate to the position you are applying for and provide concrete examples of any business expertise you are listing in the employment history section. 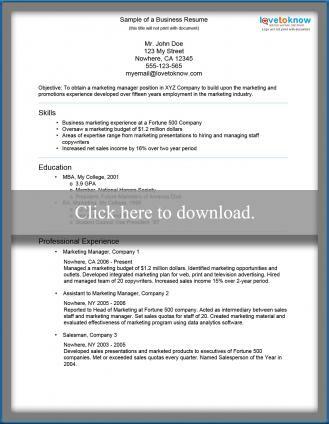 Download the business resume sample. The above sample of a business resume highlights the applicant's education and professional experience. He mentioned relevant jobs that provided him with the marketing experience he will need to obtain the job. He used specific language and industry terms like "integrated marketing plan" and "analytics" that employers may be looking for. The concrete examples of honors, awards and accomplishments also give a perspective employer insight into his accomplishments.